Drunk Driver Kills Pregnant Mom In Broward County Crash | Schuler, Halvorson, Weisser, Zoeller & Overbeck P.A. A pregnant Broward County woman was killed in a head-on collision with a suspected drunk driver, who livestreamed the aftermath of the crash. A 28-year old of Wellington was charged with gross vehicular manslaughter while intoxicated, according to Broward County jail records. The victim, who was eight months pregnant, was initially expected to survive the crash. 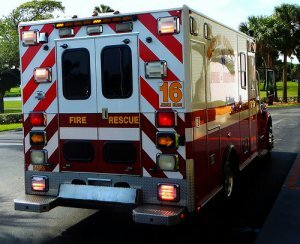 The vehicle caught fire with her pinned inside, Florida Highway Patrol officials said. First responders were able to extinguish the blaze and extract the victim from the wreckage. The 29-year old victim of Broward County and her unborn daughter were transported to a local hospital where they later died. The victim’s husband, told Florida Highway Patrol officials that his wife was kept on a respirator until her organs could be harvested for donation. Florida Highway Patrol officials have decided to withhold the names of the victim until further notice.